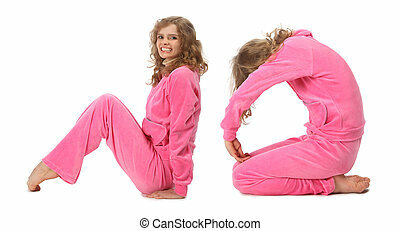 Girl in pink clothes making word health, collage. 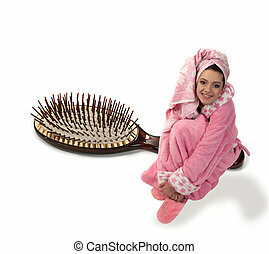 Beautiful girl, pin-up. 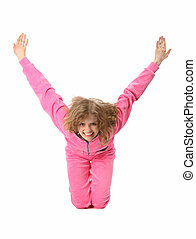 Girl in bright clothes on a pink background, retro style. Beautiful girl with a toy. 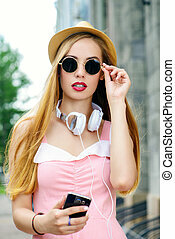 Girl in bright clothes, colored background, retro style. Young woman on a sunny summer day. City street. 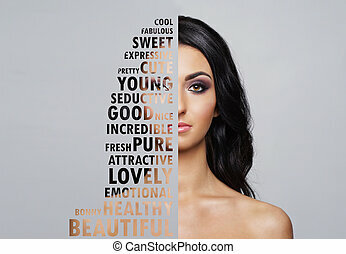 Beauty, fashion. 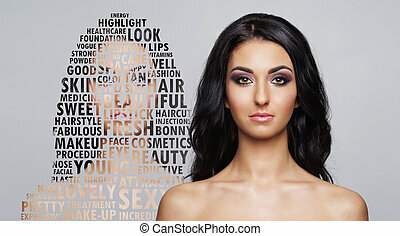 Portrait of young and healthy woman in health care and cosmetics concept. Collage with word mosaic. 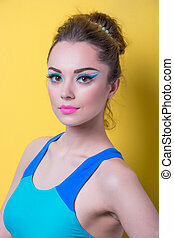 Girl with make-up in bright clothes on a contrasting background, retro style. 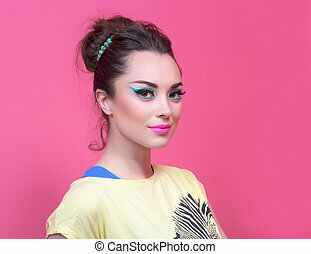 Portrait of fresh, young and beautiful girl in make-up and cosmetics concept. Word mosaic. Beautiful girl, pin-up. 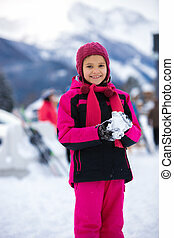 Girl in bright clothes on a colored background, retro style.